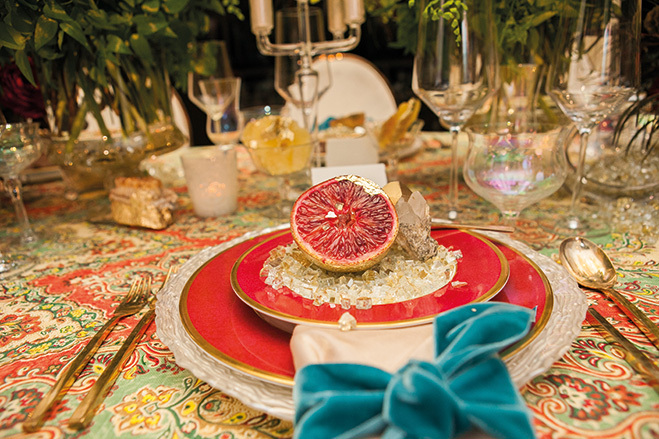 From elegant spills of crystals to gold-leafed blood oranges, it’s the little details that elevate this Bohemia-meets-India-inspired table. Upon spotting Luxe Linen’s Palace Sari design, Los Angeles–based wedding planner David Pressman was inspired to create a setting that fused warmth with decadence. 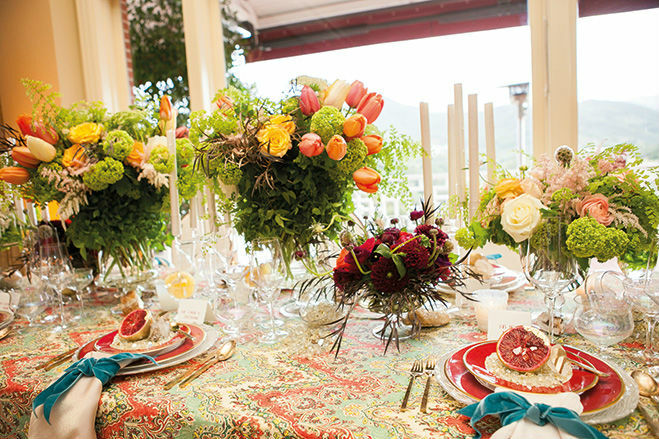 Pressman, together with Santa Monica’s Lilla Bello Floral Artistry and Event Design, created an airy and bright setting. 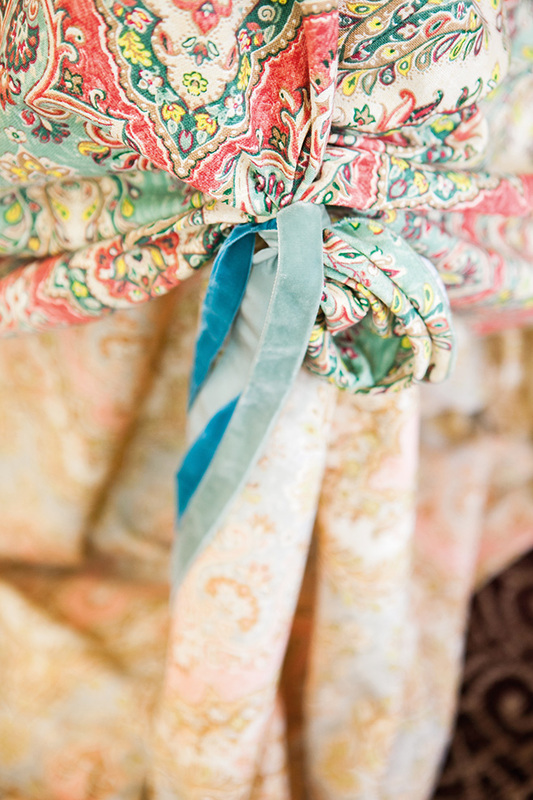 A relaxed but lush sensibility was created by draping the linen to the ground. Lilla Bello incorporated loose arrangements of viburnum, French tulips and roses with subtle pops of red. Delicate china from Marina Del Rey’s Dish Wish brought a traditional note to the table, while gold-leafed blood oranges and pineapples nestling in beds of crystals added to the abundance of boho decadence. Kristin and Brian Schofield included a royal symbol in their jewel-toned nuptials at San Ysidro Ranch in Montecito.